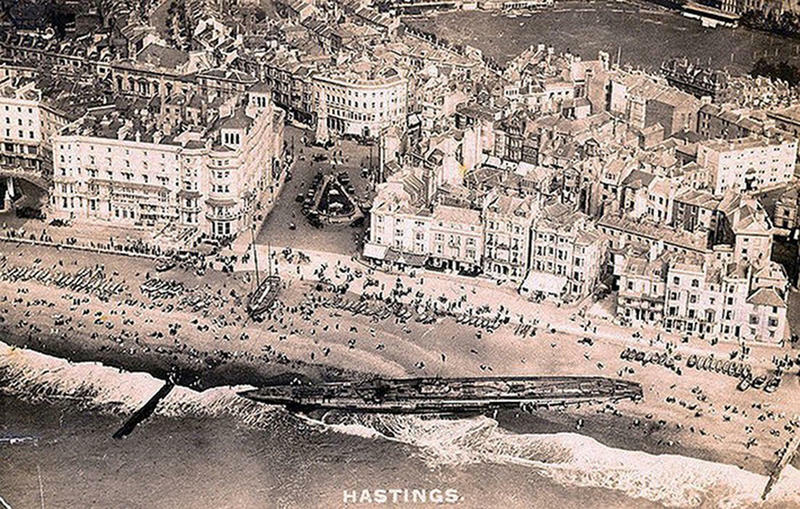 In the early hours of 15 April 1919, at approximately 12:45am, the SM U-118 submarine ran aground on the beach at Hastings in Sussex , directly in front of the Queens Hotel. The residents of Hastings woke up in the morning greeted with the massive sight of the vessel. 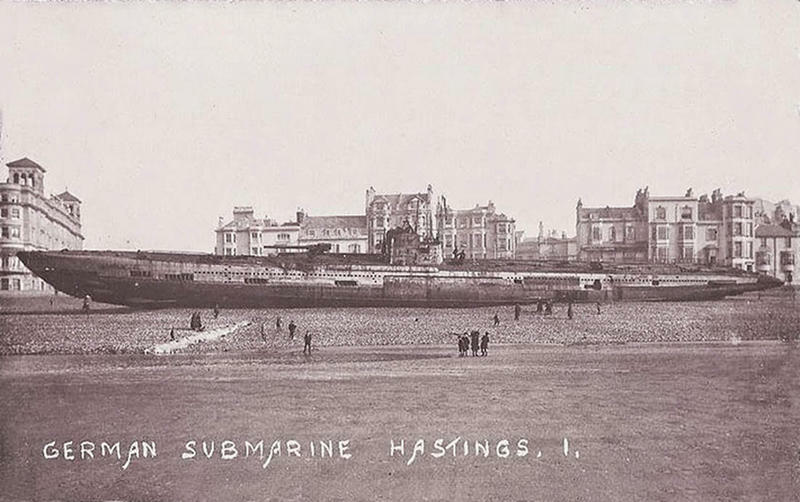 Thousands of visitors flocked to see the submarine, so the Admiralty thought to make money out of it -- he allowed the town clerk to charge a fee for people who wants to climb on deck. Two coastguards were tasked to head the tour, showing visitors around and inside the submarine. However, the visits were stopped when the two coastguards became severely ill and died shortly after. It was later discovered chlorine gas were escaping from the beached submarine's battery, causing abscess on the lungs and brains of the two men. The submarine was commissioned on 8 May 1918. Under the command of Herbert Stohwasser, SM U-118 joined the I Flotilla operating in the eastern Atlantic. 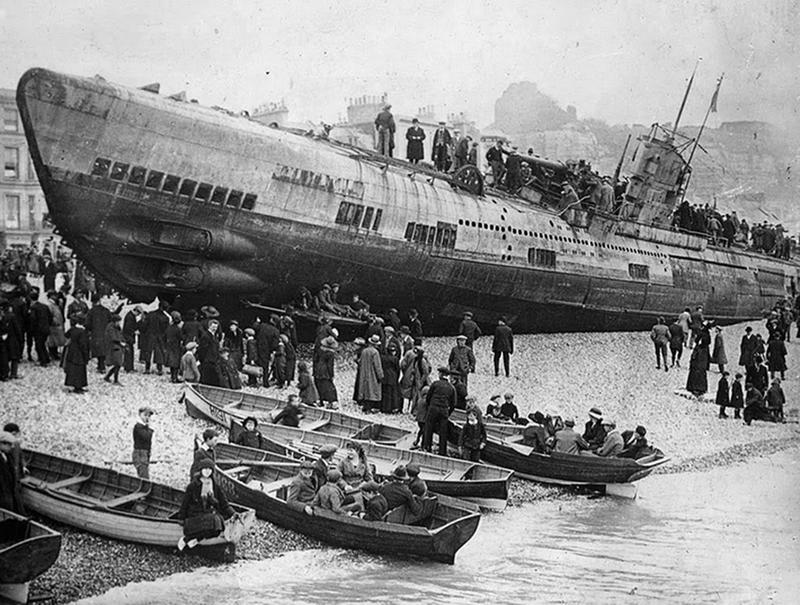 Starting on 11 November 1918 the Imperial German Navy subsequently surrendered, including SM U-118 to France on 23 February 1919. 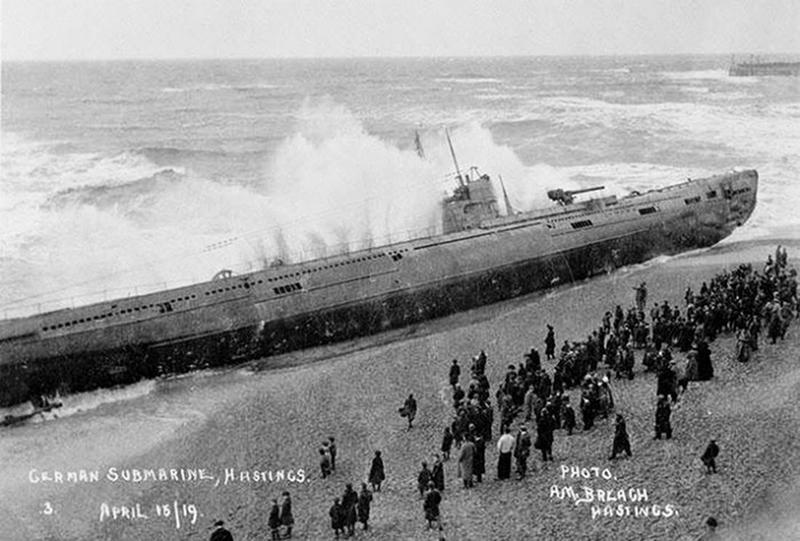 U-118 was to be transferred to France where it would be broken up for scrap. However, while it was being towed through the English Channel towards Scapa Flow, the storm broke off its dragging hawser. causing the ship to run aground. There were a few attempts to displace the stricken vessel; three tractors were used to refloat the submarine and a French destroyer attempted to break the ship apart using its cannons. The attempts however failed and the proximity of the submarine to the public beach dissuaded further use of explosives. 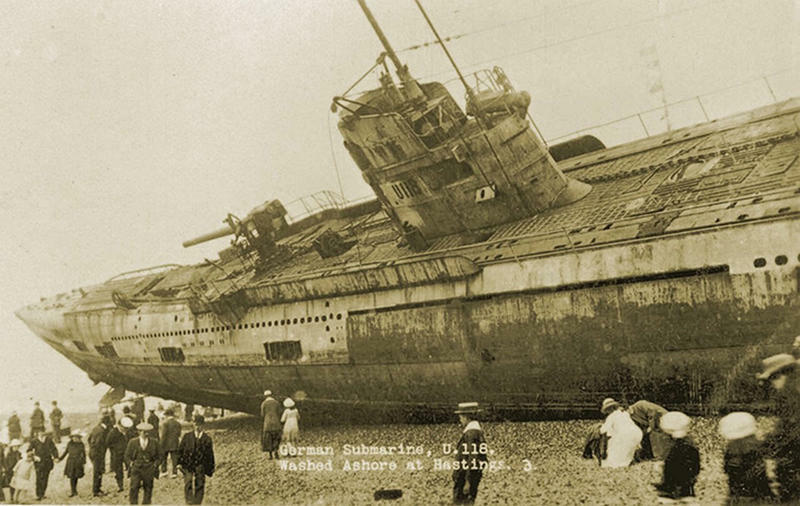 Eventually, between October and December 1919, the SM U-118 submarine was broken up and the pieces removed and sold for scrap.